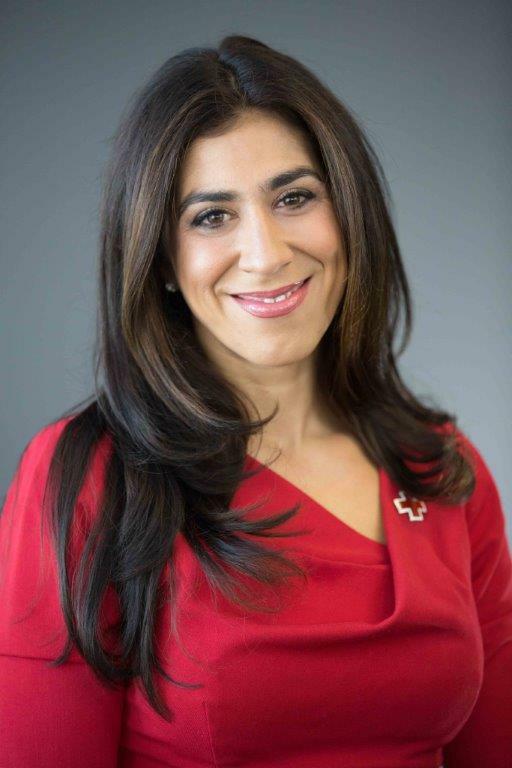 Celena Roldán joined the American Red Cross of Chicago & Northern Illinois as CEO in March 2016. This is the fourth largest region of the American Red Cross, which responds to 1,200 disasters annually and has an annual budget of approximately $16 million. The Chicago and Northern Illinois region covers 21 counties and teaches health, safety and disaster preparedness skills to more than a quarter million people annually in the Chicagoland area. Prior to joining Red Cross, Celena served as the executive director of Chicago’s Erie Neighborhood House, which was founded in 1870 to strengthen low-income, primarily Latino families through skill-building, access to critical resources, advocacy and collaborative action. Celena has extensive and significant community development experience at both the city and the state level. Recently, Roldán was honored by Chicago-Woman as a 2017 Woman Driving Excellence. Celena was also named by the United Way of Metropolitan Chicago as the 2016 Community Leader of the Year for her work in communities and the nonprofit sector. She served on Chicago Mayor Rahm Emanuel’s Education Transition Team and the Mayor’s Early Childhood Task Force as well as Governor Quinn’s Illinois Human Services Commission. Celena was a Leadership Greater Chicago fellow in 2011, participating in an intensive leadership training and partnership-building program that examines some of the key issues facing the Chicago metropolitan area. In 2015, she participated in the German Marshall Memorial Fellowship, a month-long leadership development program in Europe focused on supporting and fostering the transatlantic relationship between the U.S. and Europe, sponsored by the German Marshall Fund of the United States. Currently, Celena serves as the vice board chair for Illinois Action for Children and is on the Head Start governing board for Metropolitan Family Services. Most recently Celena was appointed as a member of the national board of UnidosUS (formerly the National Council of La Raza) and was appointed by Mayor Rahm Emanuel to the City of Chicago’s Community Development Commission. Celena holds a master’s degree in early childhood administration from National Louis University, as well as master’s and bachelor’s degrees in social work from the University of Wisconsin-Madison.